Stroll on foot through the narrow, steep streets of the charming Old Town, once home to 25 churches. 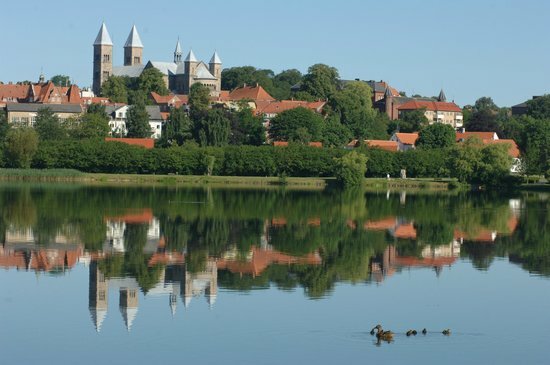 Now only two remain, including the Romanesque Viborg Dom Kirke Cathedral. It offers a fascinating crypt and distinctive twin towers. Pine forests and hilly farmland hem the appealing town on two sides, while oak forests grow and the romantic Hald So Lake laps to the south side of town. The hamlet of Hjarbaek, home to a flotilla of brown-sailed skiffs, sits on a picturesque fjord to the north.